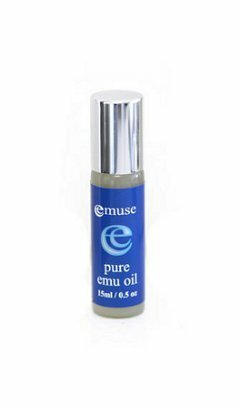 Small, convenient and handy size of Pure Emu Oil.. Good for ..
Arthritis Dictionary Defination: Inflammation of a joint, usually accompanied by pain, swelling, and stiffness, and resulting from infection, trauma, degenerative changes, metabolic disturbances, or other causes. 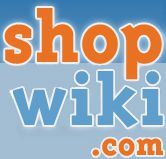 It occurs in various forms, such as bacterial arthritis, osteoarthritis arthritis, or rheumatoid arthritis. How do you get Arthritis? Many people around the world suffer arthritis, the major cause being age and repetitive strain on a particular area of the body which over time leads to loss of cartilage. Even Children have shown symptoms of arthritis. Scientific Studies have shown having a good diet and regular exercise has shown to reduce the chances of early arthritis in people. The word Arthritis is actually an umbrella term used for a group of more than 100 medical conditions. Arthritis collectively affects nearly 70 million adults and 300,000 children in America. One form of arthritis - osteoarthritis (OA) - is most prevalent in people over 60, arthritis in its various forms can start as early as infancy. Arthritis can also affect people in their early years as they are beginning careers and families. The symptoms of arthritis are many including swelling, inflammation, sore joints, stiffness, muscle cramps and many more..
Emu Oil has been shown to be very beneficial is the treatment of many forms of arthritis, because of its deep penetrating and anti inflammatory effects. Scientific studies have shown that emu oil after 2 weeks of continual use patients notice a remarkable improvement for thier arthritis condition, or to completely have no pain any more at all. 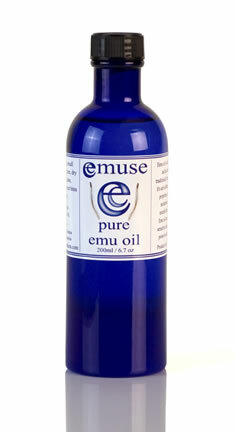 How does Emu Oil bring Arthritis relief? 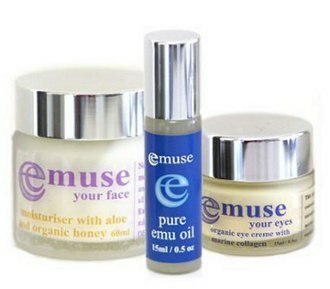 Emu Oil is deep penetrating and Anti-Inflammatory. It has been used by the Australian Aboriginals for thousands of years to heal wounds, arthritis and many muscle ailments. 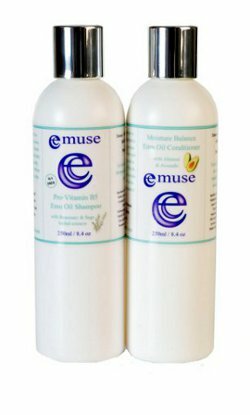 When emu oil is rubbed into the effected area, it will absorb deep into the muscle tissue and reduce the inflammation of that area. Scientific studies have shown that the anti inflammatory effects of emu oil are similar to ibupofen, without the negative side effects. Our pure Emu Oil range and Warm Massage Mousse are both beneficial in the natural treatment and pain relief of arthritis. The directions for the Arthritis rub is to rub into the effected area 2 - 3 times. The directions for the Pure Emu Oil is 1 teaspoon internally 3 times a day and a small amount rubbed into the effected area twice daily.